Car shoppers in the Arlington are familiar with the all-wheel drive available with Volkswagen vehicles. But did you know about the innovative 4MOTION® All-Wheel Drive? The exceptional technology, which is available in the Volkswagen Tiguan and Volkswagen Atlas, offers drivers both incredible performance and handling. 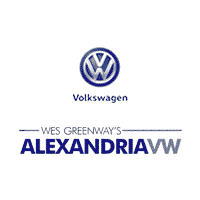 Visit Alexandria Volkswagen to learn more about the advantages of the Volkswagen AWD system! It also produces better traction on dry roads as well. In addition, most AWD systems are always on, while many 4WD systems require an on and off switch that can be flipped manually or by the vehicle’s. This allows AWD systems to sense when additional power should be sent to the wheels. Volkswagen 4MOTION® AWD vehicles have the framework of AWD, but with an added boost in performance. Most of the time, 4MOTION® AWD will allocate around 90% of power to the front tire and 10% to the rear axle. This distribution allows Washington DC drivers to have the responsive handling they’re used to with FWD vehicle while getting a quick shift for more traction. When 4MOTION® sensors detect a tire is losing traction, it instantly redistributes as needed. You will get the perfect balance of torque to keep you in control of your Volkswagen while on the Alexandria roads. Whether you’re looking for a used or new AWD Volkswagen, there are a lot of quality choices at our Springfield area dealership. Contact us today if you have any questions about 4MOTION® AWD, other Volkswagen performance features, or to schedule your test drive. Don’t forget to ask about our current special offers! 0 comment(s) so far on What Is VW 4MOTION® All-Wheel Drive?